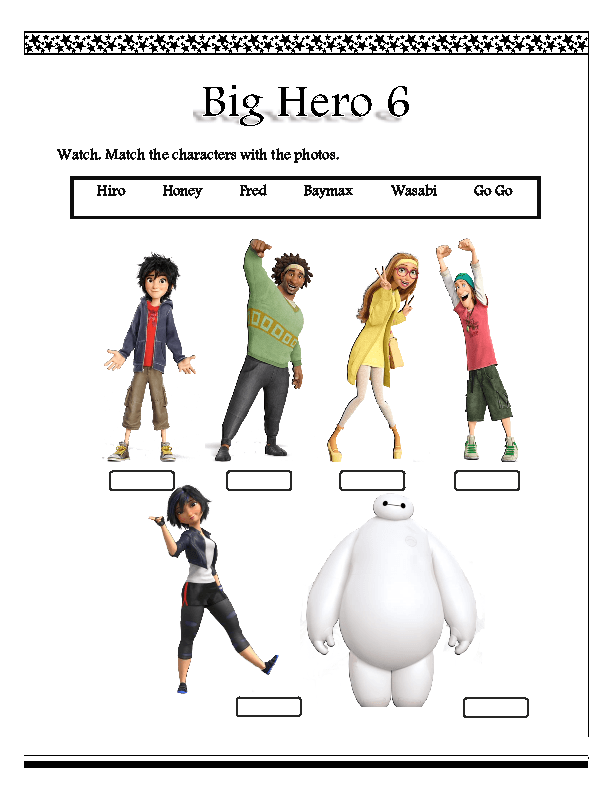 This is a worksheet based on "Big Hero 6". 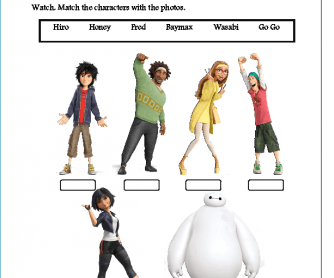 It is designed for elementary level and it includes two activities that students are asked to answer after watching the cartoon. Hope it helps.